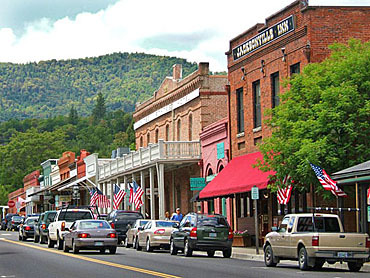 The historical town of Jacksonville is located about seven miles west of Medford and fifteen miles north of Ashland Oregon. Jacksonville is one of the most historically significant communities in the western United States. Filled with historical landmarks this town offers visitors to share in the experience of a bygone era. Jacksonville is filled specialty shops, cozy inns, museums, fine restaurants and other historic attractions. People from all over come to dine in Rogue Valley's best restaurants still in the original brick and wood. The Museum was disbanded years ago, and is now empty. The former Children's Museum now displays a gallery from the Art Presence Art Center, a non-profit organization under the umbrella of the Arts Council of Southern Oregon. Research Library Hours - Wednesday & Thursday only, 1 - 4:30 pm (check to verify).. In the early years Gold was discovered in the Oregon territory at Rich Gulch in 1851. Miners flocked to the Rogue Valley from everywhere to seek their fortune. Within months, thousands were scoring the hills hoping to stake a claim. A thriving mining camp emerged along the gold-lined creekbeds and before long, the bustling camp was transformed into a town named "Jacksonville". The gold rush fever brought prosperity very quickly to Jacksonville and by the winter of 1852, saloons and gambling halls were springing up to coax the gold from the hands of the eager prospectors. Makeshift shops, supply stores, a bank and all sorts of enterprising businesses suddenly began to appear on the scene. 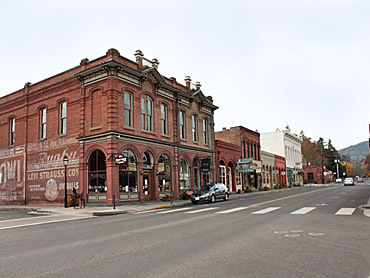 During these early "boom" years, Jacksonville became the hub of commerce in Southern Oregon and the county seat of government. 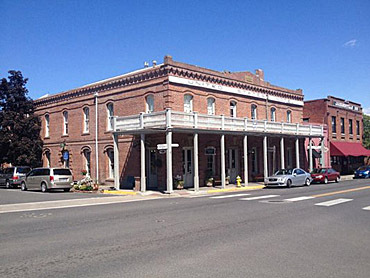 In 1884, when the railroad decided to bypass Jacksonville and choose the new town of Medford as the primary link between north and south, many residents and businesses moved away. A few wealthy merchants built grand mansions and the new County Court House was completed in 1884. By the -1890's agriculture had replaced mining as the main industry in the Valley. For the next 50 years, Jacksonville remained relatively unchanged as surrounding communities continued to grow. The county seat was finally moved to Medford in 1927. Depression years and World War II left a serious impact on the local community. But these turning points for Jacksonville had actually helped to preserve it's historic legacy. Throughout the year, Jacksonville offers a wide range of events and activities for all ages. Activities include the famous Peter Britt Music Festival --Jacksonville Museum Tours -- Trolley Tours -- Arts and Crafts Show, Whole Town Yard Sale, Annual Block Party and Fritillaria Festival! This is a general information page. All profile information on is provided to users on an "as is" and "as available" basis without warranty of any kind either express or implied. See	terms page if needed.